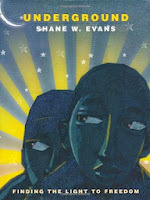 I'm finally ready with my last post on subversive books: Real Life Scary. I didn't plan to write about real life scariness. It took brainstorming what made books scary to identify this area. I've also been procrastinating this one, because perhaps it scares me the most. There's something refreshing about being able to close a book on gooey green monsters, which you know probably aren't real. And even though I'm scared of the dark, I know there's probably really not anything lurking in it. But real life. Now, that's scary. It's probably not fair to call these subversive, but here's a selection of books that make me pause before reading to my kids. And my breath hitches when I consider there are little children who are living in similar situations to these today. "Bullies might try to look big...but don't let them make you feel small." I really dislike having to talk about bullies and to think about my kids being bullied. Or my kids being bullies. 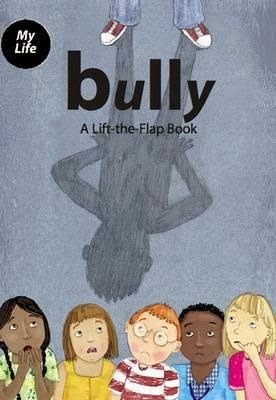 This book gives children the tools they need to confront bullying and seek help. It also shines a light on behaviors they need to avoid. "Someday we'll be able to choose our own candidates...Someday we may even be able to choose a woman as a candidate." 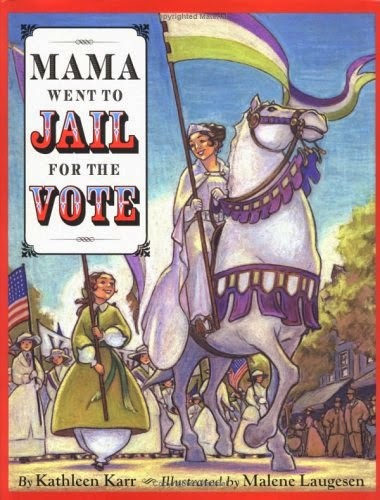 I enjoy a good woman's suffrage story. What makes this one feel risqué is how it gets real on the fight. The years of daily parades and pickets, the personal danger, and the risk of being hauled off in handcuffs. 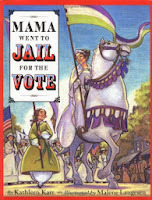 While this mama went to jail for six months, her daughter carried on the fight to gain the right to vote. "We are quiet. The fear. We run. We crawl." Short sentences and dark pictures show the journey of slaves toward the light of a free day. The background page succinctly sums up the setting: "until the abolition of slavery in 1865, people could lawfully own a fellow human being." But in our real world, young girls were stolen from school and sold off as soldier wives. 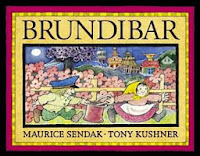 "Brundibar is big...and you are small...What to do when you are few? Ask for help, get more of you!" Scary things: A dead daddy they don't remember at all. A very sick mother. A life or death mission to get milk. No money? No milk! Threats of being stuffed in a burlap sack. Children alone in an alley. 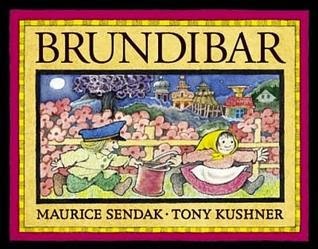 Beautiful things: 302 children singing a lullaby to defeat the bully Brundibar, earning milk money, and saving mommy. The story is based on an opera performed by the children of the Nazi concentration camp Terezin. The final pages offer a threat from the tyrant Brundibar which says: "Bullies don't give up completely. One departs, the next appears, and we shall meet again my dears!" And I think thank goodness my children don't have to face this. Then I remember children in the world are facing this right now. "...but there are some things doctors cannot fix either. Ben was too sick for his body to live any longer." In real-life sometimes little brothers get cancer and die. And big sisters need to mourn and learn how to smile again. This is a difficult topic to share with kids. 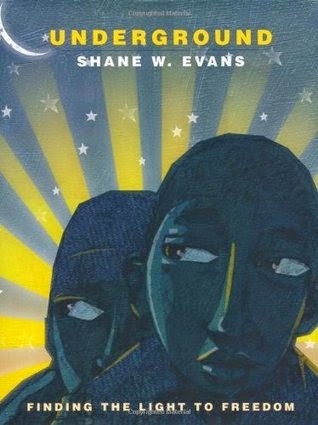 But for the child going through this situation, it's critical that resources like this book exist. "People called Ruby names; some wanted to hurt her." 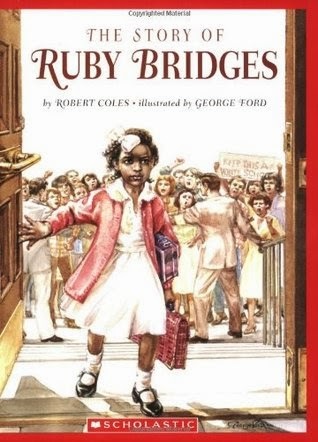 In 1960 New Orleans a judge ordered a 6-year-old black girl Ruby Bridges to go to a white school. For months she faced pickets and insults and walking to school surrounded by federal marshals. The other children stopped coming to school, so she learned to read and write in a classroom alone. Each day she prayed for the people those people. Wouldn't it be neat to say, "Oh thank goodness this doesn't happen today"? 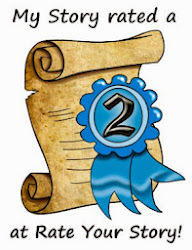 Did I just write a post with no humor and no farting? Yep. Real life is the scariest thing of all. I am very thankful to have humor to soften the edges of what can be a very frightening world. And I'm grateful writing allows me the time to fully investigate the beauty and wonder of this world, too. Alright Michael, you got me. Real life middle school memories are definitely scary! I gotta check out some of these. They look amazing! Now get back to the fart posts. I don't want you getting the DTs. Yes, I'll get back to the potty! Another bunch to add to my list. I think I should stack up all the books from all your subversive posts and have a subversive read-a-thon! Yes! It will get you into the mindset of pushing the limits for sure. There was a book one of my kids picked up on a trip to the library. I can't remember the title, only that it was about chickens, I think. 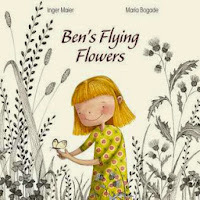 Anyway, I remember reading it with both of my kids sitting beside me only to be very surprised at the last page when one of the characters died. It was so sudden that I almost had to bite my lip from laughing. There wasn't any indication on the cover or even in the story for that matter. It was only when I flipped to the copyright page that I saw the topics, death and dying. It was an older book so I wonder if there was a push to not be so blatant about the topic? I don't know. It was a strange delivery. And I agree, real life can be pretty scary. I've been there before - you start feeling like you need to pre-read books. Thanks, it's been an interesting process to dig in on the edges of the book shelf. That's right they can be - loud, smelly, suspicious, quiet sneak attacks. Then there's the standing-in-front-of-class-while-everyone-is-listening fart which is the worst.